With numbers like these, keeping all the pollen out of your home may not be possible. 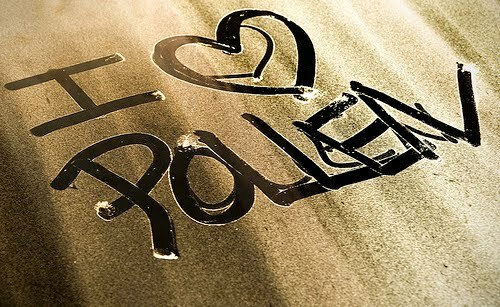 However, there are some simple steps you can take to reduce the amount of pollen that enters your home. Less red, watery eyes, scratchy throats, coughing, sneezing...who wouldn't want that? Keep your windows closed! (duh) Even though it's gorgeous outside the little unseen pollen predators are just waiting for you to open a door or a window and in they fly! If you absolutely can't live without some fresh air in your home, use a window screen filter to let the pollen-free breeze in. Don't turn on your attic fan. The room you likely spend the MOST time in is your bedroom, so take special care to ensure that the air you breathe as you're sleeping is pollen free. (you will wake up with much fewer symptoms!) Use a HEPA air cleaner in this room during the night. Take your shoes off when you come inside. If you're especially bothered by pollen, you would be well served to change your clothes after spending significant time outdoors. After a walk or outside play, wipe down your pet's fur before entering the home. Animals hold A LOT of pollen in their coats. If they sleep in your bedroom and have been outside a lot that day, you might consider bathing them before bed.